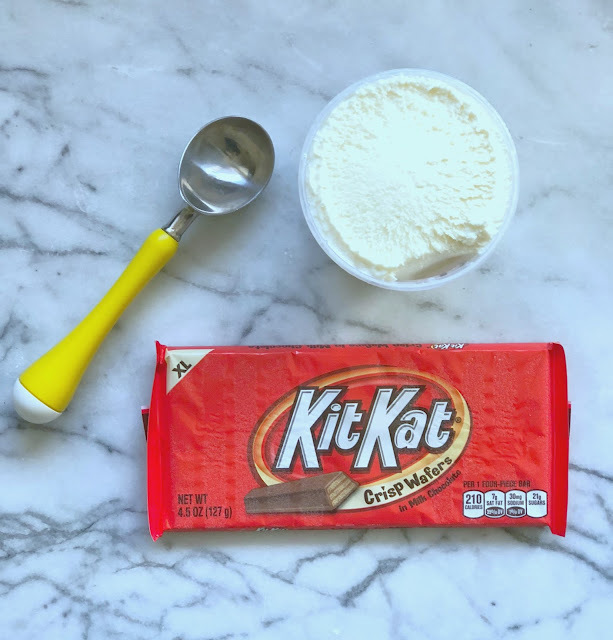 that time of year filled with screams, chills and candy! 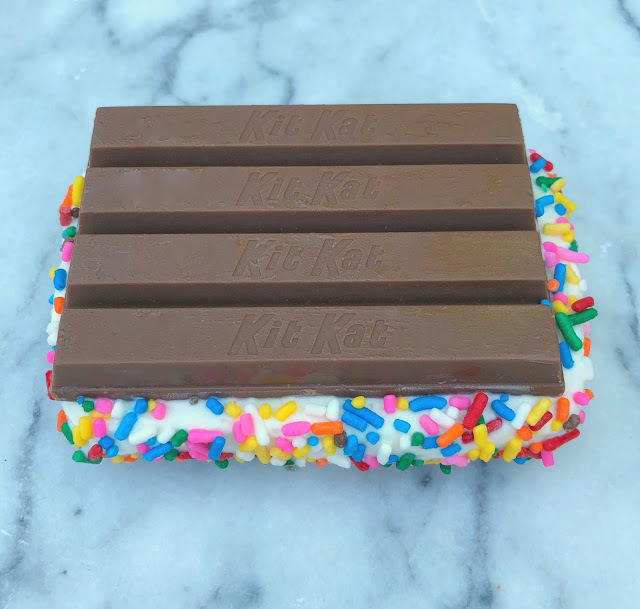 The Kit Kat Ice Cream Sandwich. 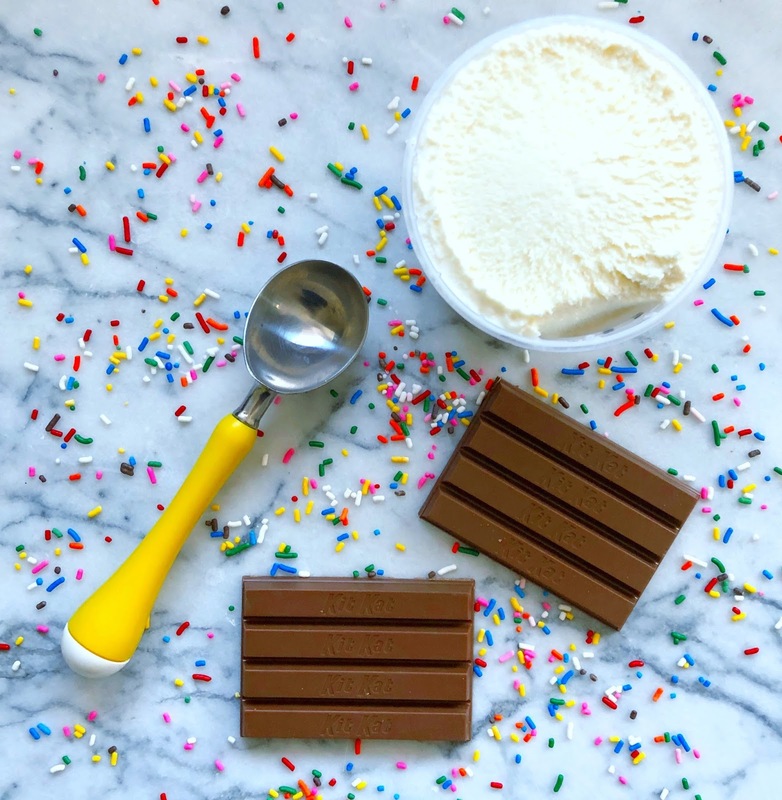 The trick is to use frozen jumbo Kit Kats, your favorite ice cream and sprinkles. Break off 2 sections of 4 Kit Kats and scoop the ice cream in between. 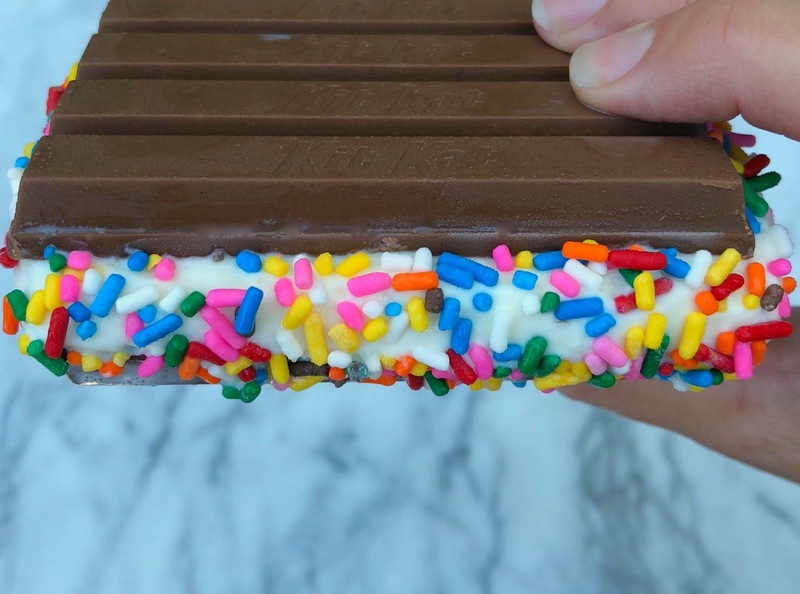 Quickly add the sprinkles along the sides and place on a plastic wrap lined plate.